We’re going to keep this post simple. 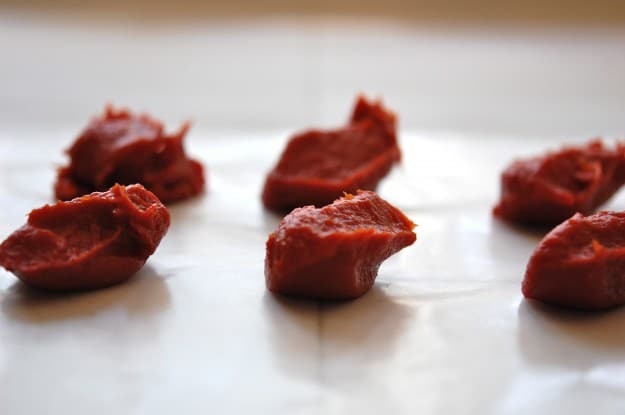 I think you should freeze your leftover tomato paste. There’s no funny little story or anecdote to go in the post. It’s just a smart thing to do. Because once when I froze tomato paste I woke up the next morning with longer legs and the ability to macrame. Speed macrame! 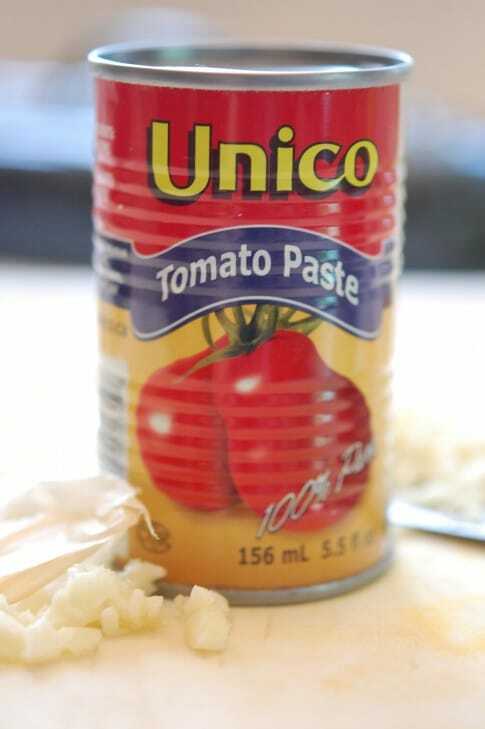 Get your can of tomato paste! … 1 tablespoon at a time. Stick the waxed paper into the freezer (having it on a level surface like a plate makes this much easier). 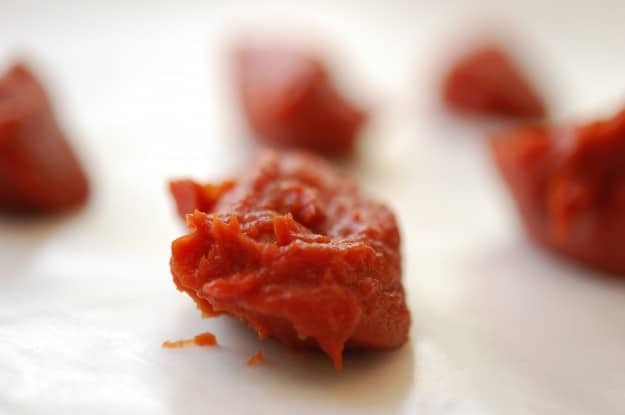 Remove the tomato paste once it’s frozen. 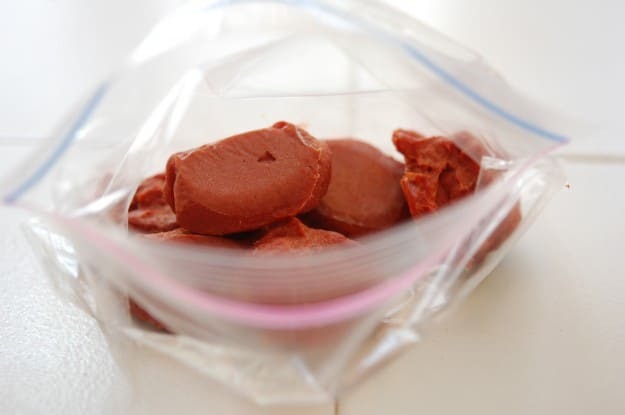 Stick the tomato paste balls into a baggie and put them back in the freezer! See? 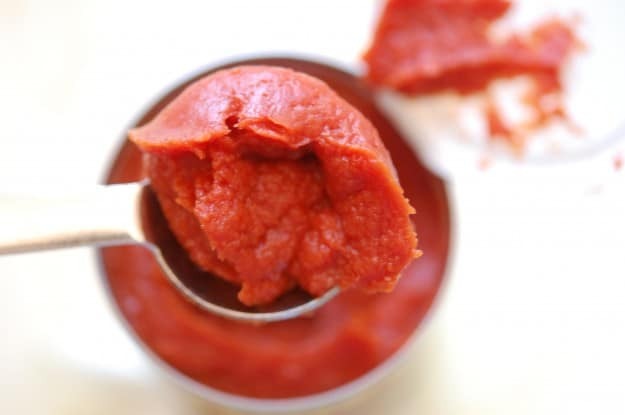 This way when you have a recipe that only calls for 1 or 2 tablespoons of tomato paste you have exactly the right amount on hand! 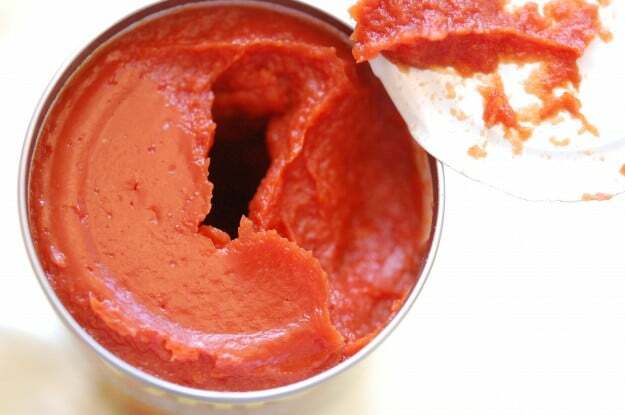 Not having to run to the grocery store for a can of tomato paste saves time. Time that can be spent on other things. Like macrameing a pair of exceptionally long leggings. You just saved my big jar of tomato paste from imminent green fuzzy mould. Is it weird I buy all my fancypants french butter when it is on sale & freeze it? It is good making pie crusts from frozen butter too, you use a box grater to cut it & you get a super flaky crust. Noooooo … freezing butter that was on sale is brilliant. I’m making some pumpkin pies for an upcoming post … perhaps I’ll try the frozen butter trick. Although I’m not good with a box grater. I once grated my own knuckle into a pot of macaroni and cheese. I had to figure this out when I bought a microplane because I have chopped the same corner off my thumb so many times it has now stopped growing back & has no feeling. Too bad it wasn’t your elbow…hehe. I’m looking forward to the macrame leggings post! 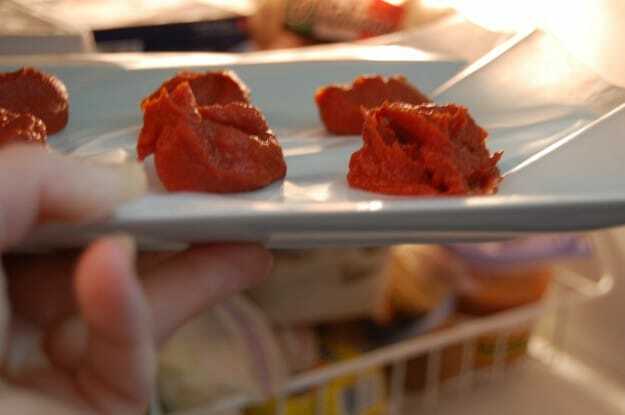 I freeze the tomato paste too, only I do it in a little log with plastic wrap. Then I just cut off how much I want. I may have to go buy wax paper JUST to do this. I despise throwing away a half used can of tomato paste. It makes me feel so wasteful. But I don’t use it very often so it will go bad in my fridge thus I might as well just chuck it. No more I say! brilliant! but i finally started buying tomato paste in a tube, and has changed my life. You took the words out of my mouth! Tomato paste in a tube is the best thing ever. Freezing cheese works perfectly too. When it goes on sale, I always buy lots to have on hand for pizza, mexican or italian dishes that need it! This is so timely–I gazed for several minutes at the tomato paste in a tube at the store a couple of days ago, but decided it was too expensive for the quantity. Love this alternative! I’ve gotten into the ‘individually frozen’ thing in a big way. Cooked brown rice, hamburger that I cook in the oven then run through the food processor, chopped cooked chicken, fruit–all get laid out on a cookie sheet covered with parchment paper, frozen individually (the rice and ground meat will break up once frozen so I usually lay that out a half inch or so deep), frozen solid, then put into gallon freezer bags. 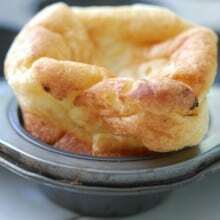 This works great for getting meals on the table in a hurry. One note with freezing the cheese, the texture does change, it crumbles, making it fine for recipes, not so much for straight eating. OMG… SORRY… had to stop at ” all get laid” then picked it back up at “individually”… ok… hope I do not get banned forever! you’re right about the cheese… great(grate?) for pizza though. What a great idea! I always freeze my leftover paste, but I never thought to freeze it in 1 Tbs. dollops. oh my another great idea to start my day! I have a little can of paste in freezer with the lid always falling off when I dig around and now I can solve this problem, YOU are a wonder! mmmm… Macaroni, knuckles and cheese, yummy!! I freeze my extra cookie dough in this way also. Then you have perfect little balls of frozen cookie dough at a moments notice. You have left over cookie dough? How does that happen?!! Great minds run in the same circles. Great idea! My husband does this type of thing with chicken stock – freezes it into the ice cube tray and then just puts them in a baggie. 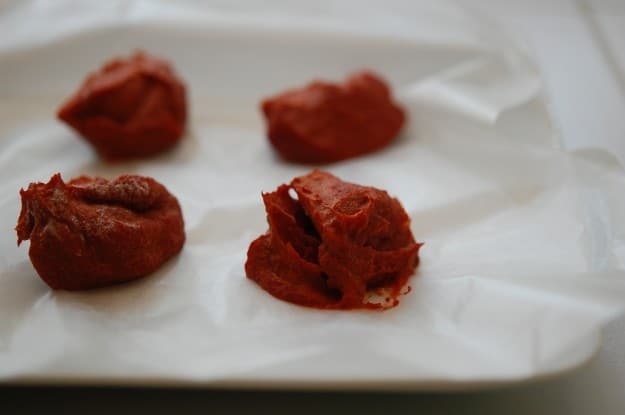 I just sent him this post – I bet we will have frozen tomato paste in no time! Dumb question from a new cook: How long does this stay good for? Thanks! 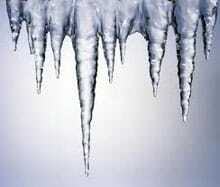 Good idea – or you could freeze some in an ice cube tray. Same goes for pesto. I froze pesto last year and it all went brown o the top and was yucky – what did I do wrong? Please tell, I still have some more basil in my garden! Jessica: I like your idea of freezing the paste as a log, but how do you get it out of the can intact? I can never do that! i get things out of a can intact by opening the lid and removing then flipping the can upside down on a plate/saucer and opening the other end. 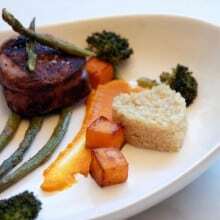 i don’t take off the open disc but use it to push the ingredients out the open end on to the plate/saucer. hope this works for you too. Very good idea. You could also do like you do with wine and put it in an ice cube tray. But, I must tell you, I am from Michigan’s Upper Peninsula (where pasties are popular) and when I saw the “freezing pasties” title, I was sure I was in for a post on making and freezing delicious Cornish/Finnish rutabaga filled meat pies (http://en.wikipedia.org/wiki/Pasty). Darn! LOL– I’m not from the U.P., but spent some time there and thought the same thing! My husband and I have an ongoing discussion about this delicacy, and have decided that every culture on the planet has some form of it, all with very different names. Pierogis are common here in the midwest, as are Runzas(r)… One of those treats people yearn for after they foolishly move away. what a great idea, and such beautiful images to illustrate it! Karen, you are a freakin’ genius. 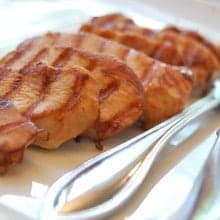 I may have to go out and buy tomato paste now just to do this!!!! Well thank you. Perhaps a bit of an extreme description of “me”, but I’ll take it. ~ karen! I am so excited about this new trick! I don’t know why I never thought about it. I tried this last night and woke up to frozen tomato “pasties” spread out onto my plastic jack-o-lantern plate. Happy Halloween! Well. I am ALMOST ashamed to tell you what kind of pasties I thought you were talking about freezing. My daughter took a class this spring – Burlesque 101. I went to her graduation performance and learned all about pasties, but none of them were frozen! I got one for ya. I spilled some grease (hamburger) on the toes of my new suede boots. I love them. I had to wait until I got home to try and figure out how to fix it but all my efforts were in vain. It’s been 4 days now and I’m afraid I may have to wear as is. Do you have any ideas for me to try.